Farm management practices have a direct impact on various processes of soil degradation, such as erosion, reduced organic matter content in soil, soil compaction, and different types of pollution. These processes are reduced by land cover with crops and harvest residues, and depend mostly on the sowing structure. In the 1992-2005 period, land cover in Slovenia was relatively constant (from 62.7 % do to 70.0 %), which is below the EU average in 2000. The share of maize exceeds 40 %, and the share of legume crops is below 10 %. 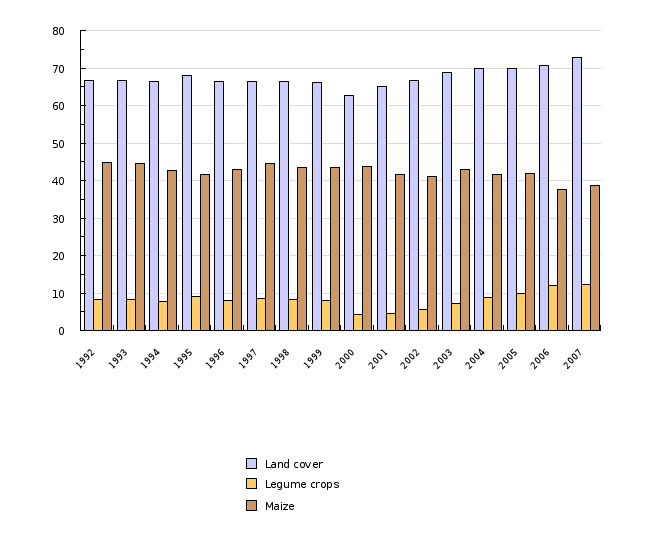 After 2000, a slight increase in land cover and in the share of legume crops has been observed in the sowing structure. Combined storage facilities for storing livestock manure and slurry prevail among storage facilities for organic fertilizers, enabling storage of the slurry for more than six months on most farms. In 2004 and 2005, the number of soil analyses increased significantly, enabling fertilization on the basis of nutrient supply and a fertilization plan. Farm management practices are determined as decisions and practical measures defining management on farms. They include production technologies such as crop rotation, methods of soil treatment and coverage of soil with vegetation, as well as types and capacities of storage facilities for organic fertilizers*. *the definition of the term is taken from: H. P. Piorr, U. Eppler (University of Eberswalde) in the framework of the PAIS project (Proposal on Agri-Environmental Indicators), financed by ESTAT (from 2000 to 2004). European Environment Agency, 2005; Central Cattle Breeding Database Cattle, Agricultural Institute of the Republic of Slovenia, 2005. The goal is to expand the management practices which enable the preservation and improvement of permanent soil fertility, prevent erosion and compaction of soil, increase efficiency in the use of plant nutrients, decrease risks of pollution of the environment with plant protection products and fertilizers, and are economically advantageous. With the introduction of intensification on farms, the sowing structure has narrowed significantly; Slovenia grows maize and wheat on almost three quarters of its land. Achieving the above-mentioned goal depends mostly on the changes in the sowing structure, especially on increased production of legume crops and individual industrial plants, and a reduced share of maize. In livestock manure, the goal is to ensure sufficient storage capacities – very small dung pits, dunghills and other storage facilities are forcing farmers to excessive and unplanned application of manure regardless of the needs of the plants and conditions in the environment. This increases the risk of soil and water pollution. EU goals are oriented toward environmentally friendlier handling and storing of livestock manure and its use in the fields. Slovenian legislation supports such goals (Agricultural Land Act, Environment Protection Act, Regulation About Cross Compliance, Rules Concerning Good Agricultural Practice in Manuring, Decree on the Limit Input Concentration Values of Dangerous Substances and Fertilizers in Soil) and lately, a number of measures of agricultural and environmental policy have been implemented (Rural Development Plan for the Republic of Slovenia 2004–2006, National Programme of the Environment Protection). In Slovenia’s categories of agricultural land, the most land is covered with permanent grassland and the least with arable land. In spite of that, the basic characteristic of Slovenia’s agriculture is its orientation into the production of fodder. For economic reasons, maize is by far the most predominant fodder plant. The limited sowing structure results in a relatively low level of land cover, a large share of maize and small share of legume plants in crop rotation. All these factors accelerate soil degradation processes. A slight increase in land cover and the share of legume plants in the sowing structure after 2000 is mostly due to the introduction of individual measures in the framework of the Slovenian Agri-Environmental Programme. The sowing structure is the reflection of specialized farming production, thus no significant changes are anticipated in the near future. 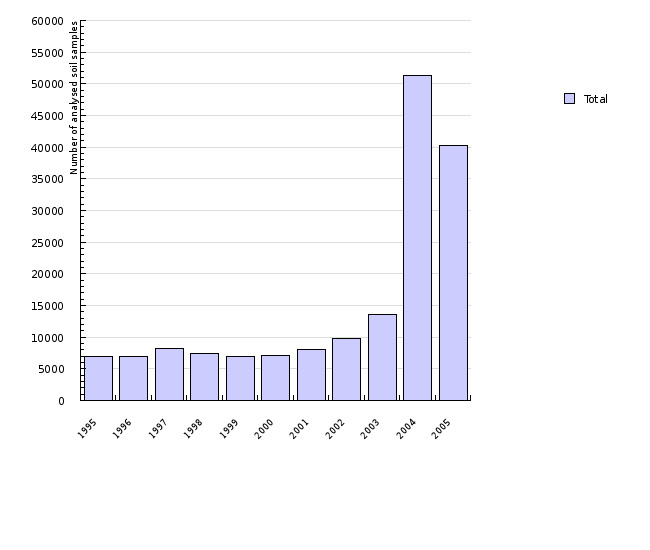 From this aspect, the studied period of 1992-2005 is relatively short. Adequate storage capacities enable good livestock manure management and reduce the risk of pollution of natural resources. Slovenian regulations determine that 3.5 m2 of manure facility with a 2 m3 dung pit, or a 8 m3 dung pit or lagoon for slurry must be provided per every livestock unit (LU). Types of farms where livestock manure is stored as solid dung prevail on cattle breeding farms oriented in the production of milk. About 85 % of all surveyed farms have dunghills and dung pits for slurry, 2 % of farms have only dunghills and no dung pits, and 13 % only have slurry. The storing capacity of objects on farms with only slurry is comparable with the EU average. About 70 % of Slovenian farms can store slurry for more than six months. Concrete dung pits outside barns prevail (55 %), followed by slurry storage facilities under bars in barns (39 %), and open tanks above ground and lagoons. Farms with combined storage facilities have a relatively high storage capacity, sufficient for more than six months of slurry storing – in comparison with the EU, their total capacity is above average. Uncovered dunghills with an impermeable or concrete base present the prevalent type of livestock manure dunghills (> 90 %). In view of the type and capacity of dunghills, the situation in Slovenia is comparable with that in Finland and Sweden. There are no data for Slovenia and the EU on their state in the past and the assessment of trends is thus impossible. Lately, the number of soil analyses has been on the increase, which enables manuring adapted to the needs of the plants. An exceptional increase in the number of these analyses in 2004 and 2005 is the consequence of the introduction of payments for the implementation of the Nitrates Directive standards, regulating manuring on the basis of soil analysis and a fertilization plan as well as other conditions. Rapid Reports 98/2005, Statistical Office of the Republic of Slovenia. Rapid Reports 142/2004, Statistical Office of the Republic of Slovenia. Rapid Reports 263/2003, Statistical Office of the Republic of Slovenia. Central Cattle Breeding Database Cattle, Agricultural Institute of the Republic of Slovenia. Calculations for land cover and maize and legume crop shares in the sowing structure were based on the statistical information on the extent of the production of arable crops and vegetables on arable land. To calculate land cover we used the method described in the final report for the IRENA 14 environmental indicator. The calculation factor is based on the number of days from sowing to harvesting individual arable crop or vegetable species or group of species. Such estimates are comparable with the estimates for other European countries, which are only partly accessible (for certain countries in 2000). The Central Cattle Breeding Database Cattle at the Agricultural Institute of the Republic of Slovenia contains all the data on the origin and productivity of cows in the milk yield control (82,597 dairy cows on 5,352 farms). In 2005/2006, we supplemented the database with the results of the survey conducted for the purpose of analysing the state of herds on farms. In Slovenia and the EU, there are no data on the state in the past, thus an assessment of trends is not possible. 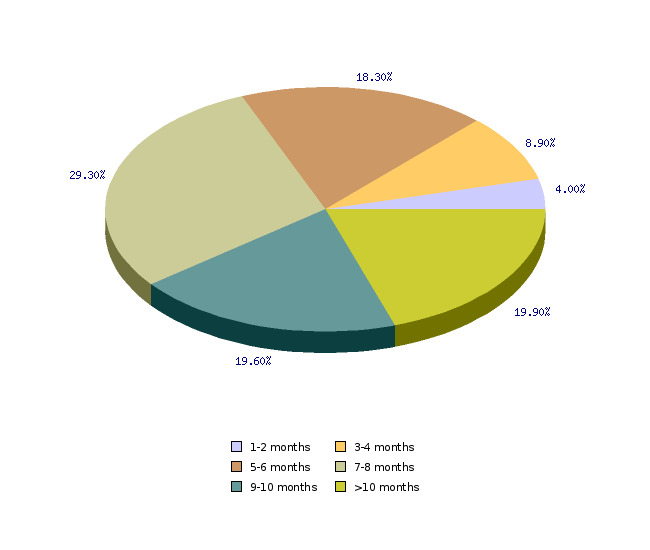 Data on the number of analysed soil samples was collected by Janez Sušin, Agricultural Institute of the Republic of Slovenia, on the basis of the breeders’ records. IRENA Indicator Fact Sheet, IRENA 14 – Farm management practice, European Environment Agency, 2005; New Cronos database, Eurostat.